We love the look of the kitchen countertop selection by our client so much that we just wanted to showcase the quality and elegant design patterns available from our friends at Cambria. 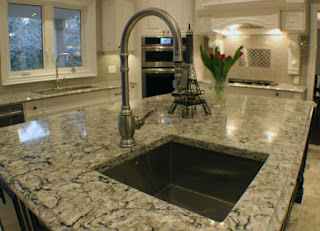 The pattern and colours in this quartz countertop match the kitchen cabinetry and flooring perfectly! Nicely done!